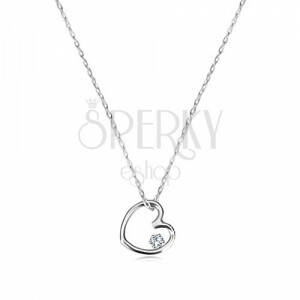 White 375 gold necklace - fine chain of oval rings, heart contour with embedded round brilliant of clear colour. By buying this product you can collect up to 39 points as a voucher of £6,63. Your reward points. 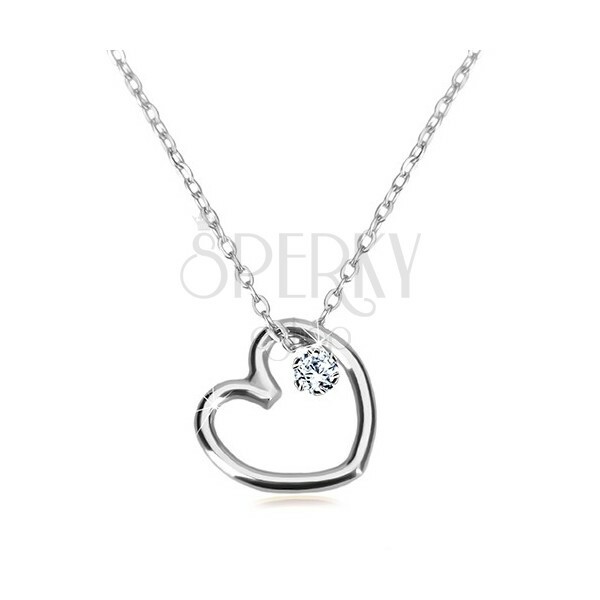 Diamond necklace of white 9K gold consists of detachable pendant of heart contour shape and thin chain. Heart contour is narrow, gloosy and smooth. There is a round cut brilliant of transparent coloured finish embedded inside. Fine chain consists of tiny oval rings, which are connected vertically. Necklace has adjustable length and lobster closure.